65th day of the year. There were then 300 days left in 2018. 76th day of Winter. There were 14 days left till Spring. March 6, 2018 was the 21st day of Lent (Christian Observance). 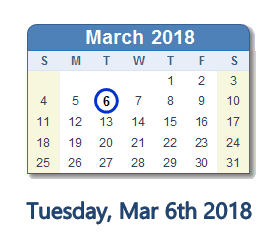 What happened on March 6th 2018?